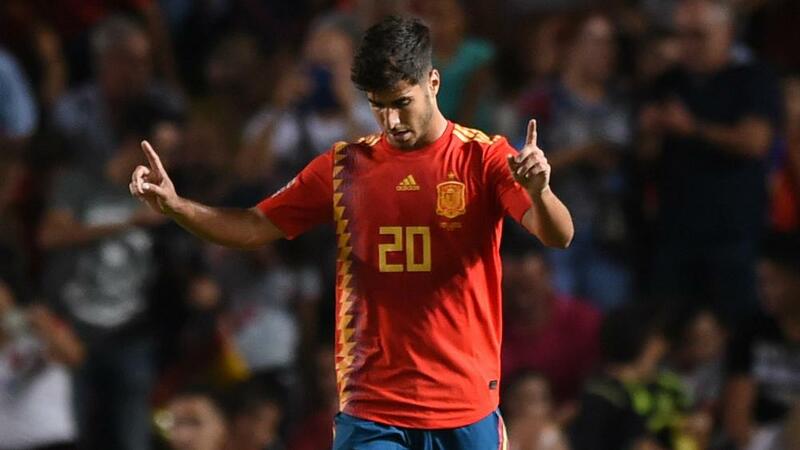 Marco Asensio scored his first worldwide goal and guided Spain to an emphatic 6-0 win over Croatia on Tuesday night in UEFA Nations League action. It got worse for Croatia before the break as Asensio grabbed two memorable goals in the space of two minutes, first blasting beyond Kalinic from 25 yards before driving towards the box and curling a stunning effort that smacked the crossbar and went in off the unfortunate goalkeeper. Sergio Ramos added to the scoreline with a header from Asensio's corner after some awful marking. Luis Enrique's side tore apart the World Cup finalists, with goals coming from six different sources including an own goal by Lovre Kalinic. Croatia will hope to get their first Nations League points when they host England next month. "After the second goal, the match was over for us". In the 57th minute, Spain captain Sergio Ramos headed in his 14th global goal for the team's fifth on the night. "It's a great challenge to play against Luka in the Spanish league and it's even better to play with him for our country", Rakitic said.